Everyone knows that prefab homes are fast. Fast to construct, fast to build, and of course fast to install. 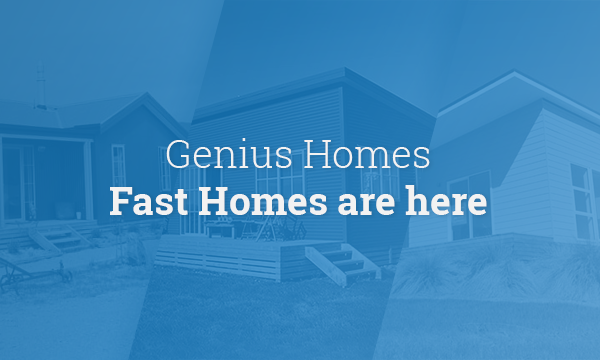 Lucky for you, here at Genius Homes our prefabricated designs just got a lot faster. 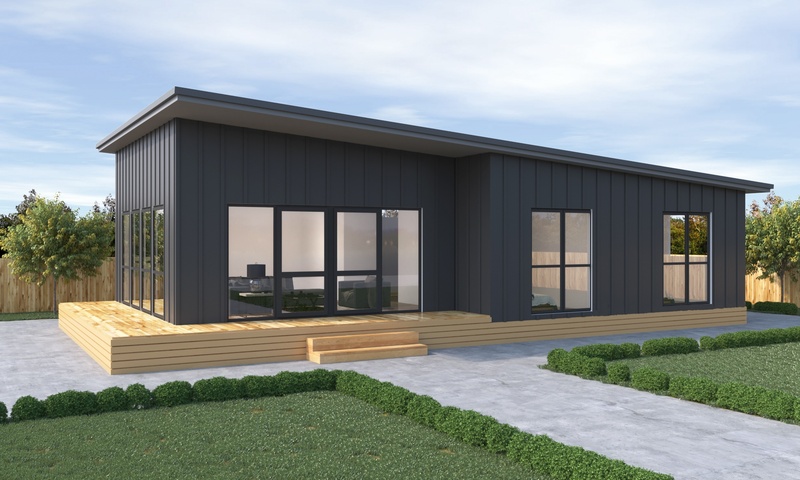 If you are in urgent need of a home but don't have months or even years to wait before the built is complete, then check out our range of fast prefab home options which guarantee that you can be in your new home within 9 weeks. Sound too good to be true? Well it's not! We've chosen 3 homes from our range that are pre-consented and still adjustable so you can have the benefits of a speedy consent process, while still having the home of your dreams. Choosing one of our Fast Homes is easy. Unlike our standard homes you are slightly limited to how much you can change, however things like the window style, roof, and adding an additional ensuite are all within the types of changes you can make while still keeping it a fast home. 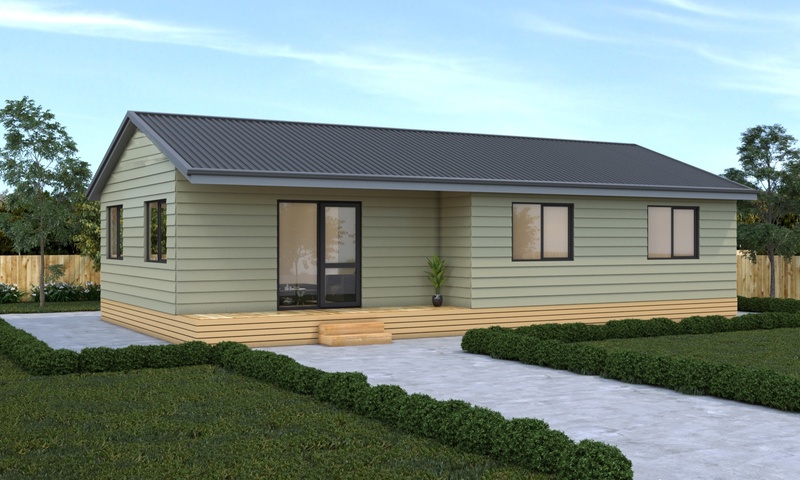 Let us explore these great prefab homes in a little more detail so you can find the perfect home for you and your family. 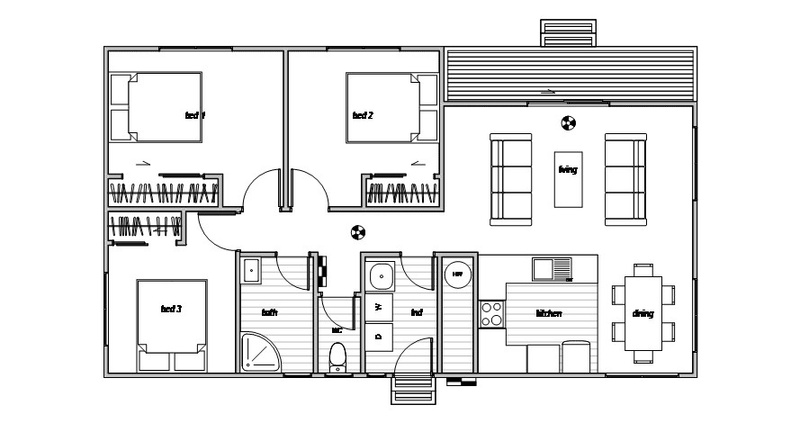 The Oxford 3 is an ideal rental or as a new family home. 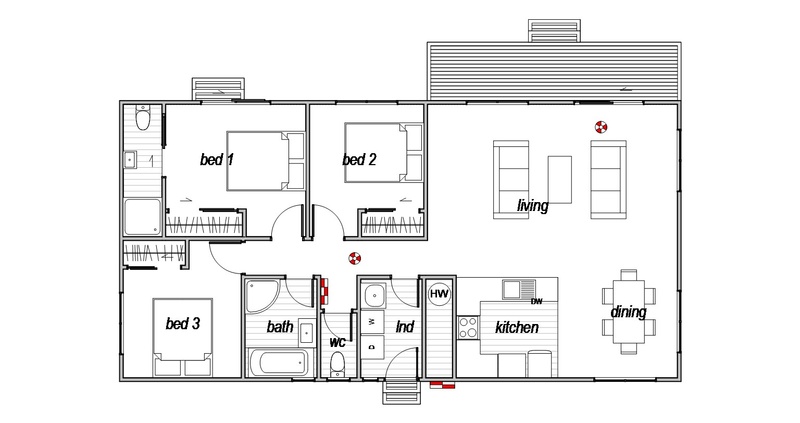 It features great open plan living, and the 3 bedrooms each have their own built-in wardrobes. This is handy when it comes to extra storage for a growing family. 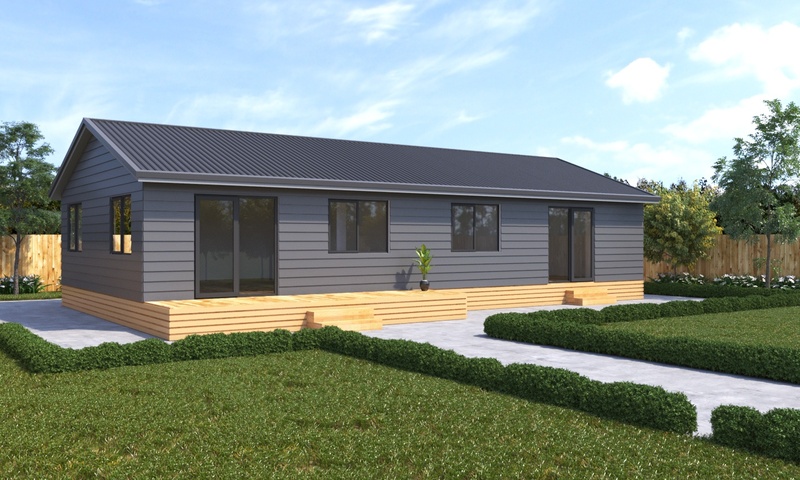 Like all our prefab homes, this house comes fully finished and features a quality kitchen with modern appliances, bathroom and laundry fixtures, a heat pump and premium floor coverings. This home also features a kitchen that becomes the heart of the home. With modern appliances fitted as standard and a choice of finishes you can customise this kitchen to suit your style. The Oxford modern is a great family home, an investment property, or even a holiday bach, the ways you can enjoy the Oxford Modern are almost limitless! One of the key features of this home is the sliding door from the living room to the outside deck area. Double sliding sections, and two glass panes means the floor-length windows pull in even more light. This design centres the kitchen as the heart of the home. With modern appliances fitted and a choice of finishes you can customise this kitchen to suit your style. The master bedroom features large windows and boasts a built-in wardrobe that's close to 30% larger than the guest bedroom wardrobes. With every bedroom featuring good-size storage, your guests or family members will have plenty of space to feel at home. The Mayfield offers a large, open plan living/dining/kitchen area where everyone feels part of the conversation. The family bathroom features a full-size bath and corner shower with the benefits of a separate toilet. Both spare bedrooms have built-in wardrobes while the master not only has sliding doors out onto the deck, but also features a nice ensuite. The entrance to this home also serves as the laundry room, a perfectly practical arrangement. Not only can this functional space be closed off to keep the laundry separate but it makes it so much easier to dump muddy gear into the wash, without bringing the muck into the house. Once you have selected the design/layout that you would like, you have a little wiggle room to pick from a couple of structural custom design options while still ensuring you qualify for a super fast timeframe. Below is a breakdown of those options. It does pay to note that these options will differ in price for your overall quote and build cost. Once you have selected your custom options, it is time to choose your wall colours and fitting options. Choose the colour of your new kitchen bench top, which light fittings you will have, and whether it will be lino or tiles in your bathroom. From here you can sit back, relax and let us get on with building your new home. We will submit the necessary documents to council and keep in touch with regular process reports. We then deliver your home to your site complete with all interior fittings and fixtures ready to be connected. This saves a huge amount of time compared to traditional building methods. Our sales team are ready and waiting to answer any questions you may have. If you would like to talk with one of our team click HERE. Otherwise you can request an onsite visit by clicking on the button below. 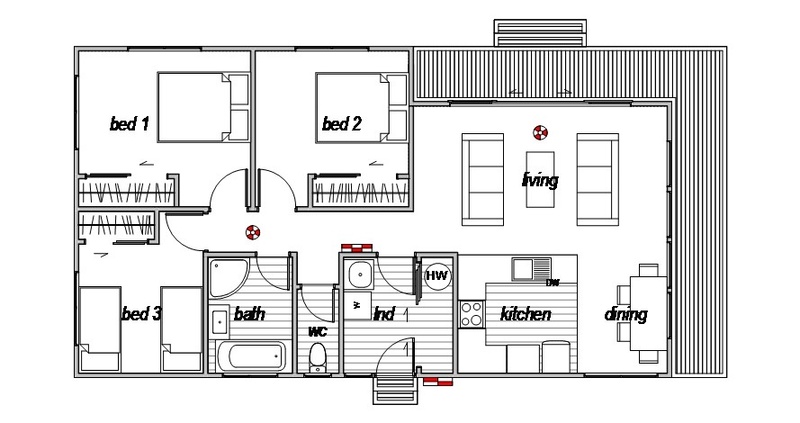 Feeling overwhelmed by floor plan options? Learn how to pick the perfect home plan.